This entry was posted in UX Write and tagged styles by Peter Kelly. Bookmark the permalink. I’m still having issues with the table feature. Once a table is inserted, you can’t get out of it unless a table number is inserted. Are you also thinking of adding new features? If so, what are they and when to expect them? but in the latest version app dont have very neсessary function! i cant place STYLE panel on the screen of my ipad (like structure panel on the left side)! I got rid of the formatting menu due to the fact that most of the functionality (that is, the direct formatting options) I’ve now got in the toolbar, in an attempt to provide a more familiar interface for people coming from other word processors. A side effect of this change was that the formatting menu is no longer pinnable; however it’s still possible to select the style from the menu. The iOS version of UX Write bringing in almost zero revenue right now and I’m not able to justify spending more time on improving it unless I can first figure out a way to make it profitable. Sadly, every time I add a new feature or make a new improvement, sales decrease instead of increase, because the current business model isn’t viable. So my time has, unfortunately and of necessity, had to be spent on other work that generates viable income. Having said that – I am trying to find other ways to get a promising path forward. I’m in the process of open sourcing some of the components of UX Write and encouraging other people to get involved with development as part of an open source project. I’m actually at ApacheCon in Budapest right now and have talks on the next couple of days hoping to encourage people to get involved. If I’m able to generate enough interest to get a viable open source project going based on the code, then there may be a way to get things on track. 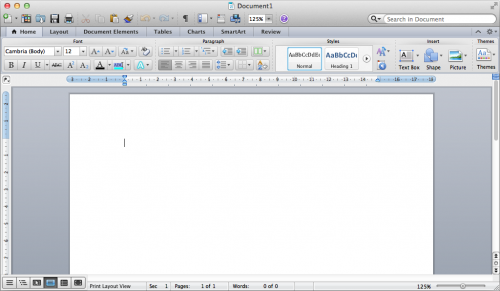 Your word processor is very nice looking. I am quite interested, but it seems to lack super- and sub- scripts which I use constantly in my writing. Did I miss this, or do you have plans to incorporate in the near future. 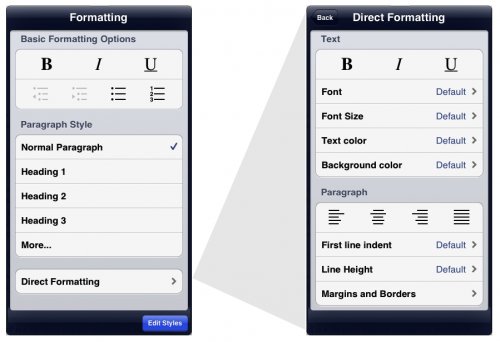 The only styles that I see when I select edit styles in UX Write are paragraph styles. 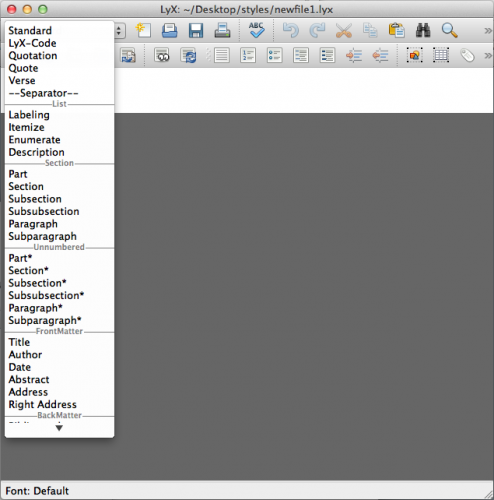 While these are quite useful in constructing documents, they do not completely liberate me from the need for direct formatting and when creating .docx files for conversion to ePub and mobi via Calibre, this is a mild problem.Will you be introducing (or have you introduced in some subtle way) the text styles. I am particularly intereted in Subtle Emphasis (italic), Emphasis (Bold Italic), and Intensse Emphasis (Colored Italic) and in Strong (Bold non-italic). In a pinch, I could live with Emphasis and Strong. I would prefer to use these to direct formatting as they convert better to ePub and mobi. I do intend to support character styles at some point (that is, styles that apply to a piece of text within a paragraph), as well as table styles.